Rat is the most painful and and harmful mammals in all over the world. Specially in our country we can see huge amount of rats everywhere .In our house godawn field and in many places we can see rats. Rats are harmful for us because rates wastes many thing Like they waste our food cloths, books, crops and many thing. Rats are actually warm blooded mammals they are like many times humans but not actually animals. We can found rats everywhere though out all over the world. Here in Bangladesh we can see huge amount of rats in our houses. We are suffering very much for this rats in our house. Specially in villages and also in town we can see huge amount of rats . We can see many types of rats in Bangladesh we can see 4 to 5 types of rats in our country. Big rats, small rats, medium rats and many other types of rats we called these rats as lengthi edur, Geco edur, shola edur. These all type of rats are damage our many necessary products and many thing. Dhaka in the biggest city in Bangladesh. Many peoples say that in town have no rats or mice. But you can not believe that how many rats are available in our Dhaka city. They destroy our everything. Maybe you become suffer a lot for rats. In Dhaka city in our house we can see many rats. They can live I mean rats can live in any small place in your house . Where they found a suatiable place for hide. Rats can hide in your garage or rats can live in your store rooms or rats can hide in your kitchen also rats can hide into many places in your house. These rats are disturb us a lot they waste our many thing. Like many times we can see into our cloths rats make a nest and they cut our cloths unless if we keep safe also these cloths in our self. If in our house a single amount of rats are remain then they will be must cut your cloths. They will waste your food, also they will waste your table, chair and many things. Rats can spread many type of diseases into peoples. Sometimes they can spread many serious type of diseases what can be reason for our death. So this is the right time to control and remove all type of rats from our house. You can take many step to remove all of the rats from your house. Without removing all type of rats from your house you can not get rid from the rats suffer. You can use many medicine to remove rats from your house or you can use many trap tools to catch rats from your house. But you know to remove all of the rats from your house is not so easy. If you can not know properly how to remove and control rats properly from your house then you will not get rid of from rats pain. If you can not remove and control rats from your house then you can call an expert to remove and control all of the rats from your house. You can get many rats control company in Dhaka Bangladesh. But all of the rats control company will not give you the proper rats control service. They will take your money only and they will control rats for some days into your house. So you have to find a best rats control service company in Dhaka who will provide you the best rats control service. So here we are care pest bd we offer the best rats control service in all of the area in Dhaka city. We offer the best service as our promise. Best rats control service in Dhaka ,Bangladesh. Care pest bd is the leading pest control service company in Dhaka Bangladesh. 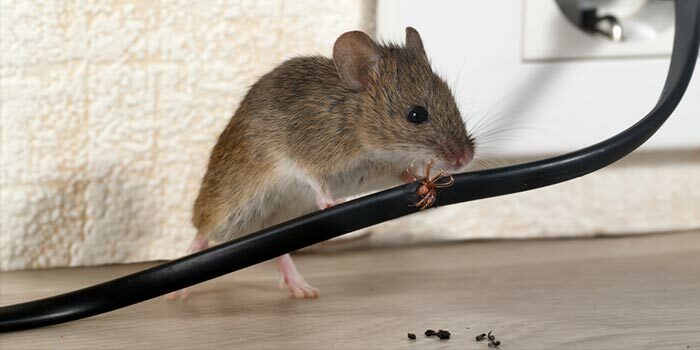 We offer pest control service for over than 5 years. In this 5 years we already delivery our service to our clients with 100% client satisfaction. You can check our website .Here you can see our all customers reviews. Our all customers become satisfied to take our pest control services. We offer all kind of pest control services. So now to remove and control all of the rats from your house you can just call us. We will reach to your house quickly. Actually we have a expert pest control service team. Who are working perfectly .We will remove all of the rats from your house use our special method. We will use our special rats control tools. Sometimes we are using special rat killer medicine to remove all of the rats from your house. Once we serve our service in your house then we can guarantee you never any rats will come back in your house. You will become relaxed and you can get rid of from rats pain. So if you want to remove all of the rats from your house then just call us. We will remove all of the rats from your house. For our best pest control services we become the best pest control service company in Dhaka, Bangladesh.